All over the US the snow is turning to sunshine, and we finally feel Spring in the air. Here in Sun Valley Idaho, it can turn cold again after a 70 degree day! These drastic weather changes can be hard on our bodies. 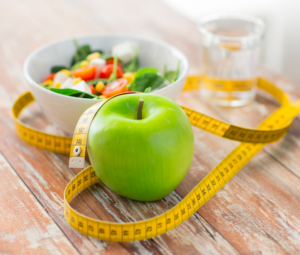 One of the best ways you can keep your immune system strong– and avoid colds –is to eat lots of fruits and veggies. One of the worst things you can do is to eat a lot of sugar. Sugar immediately reduces your immune response. So you might be thinking: “Oh no! We have had sugar overload thanks to the Easter Bunny!”. Never fear. 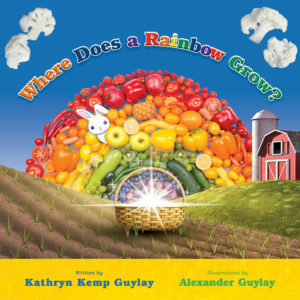 I’ve got a fun gift for you in the form of an e-copy of my latest children’s book, Where Does a Rainbow Grow? 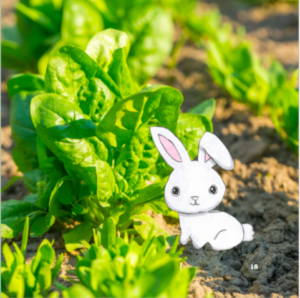 It inspires kids to learn where healthy foods come from in the form of fruits and veggies. 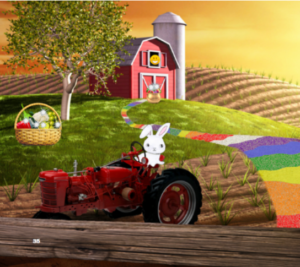 It even has a cute little bunny character named Sammy that takes the kids on a journey. Before I offer you the book, I want to remind all of us that we should be filling half of our plates with fruits and veggies. We get the most benefit from our fruits and veggies when we have a large variety in the kinds of fruits and veggies that we eat. Each of the colors can be associated with health promoting components found in the foods, from antioxidants to vitamins. 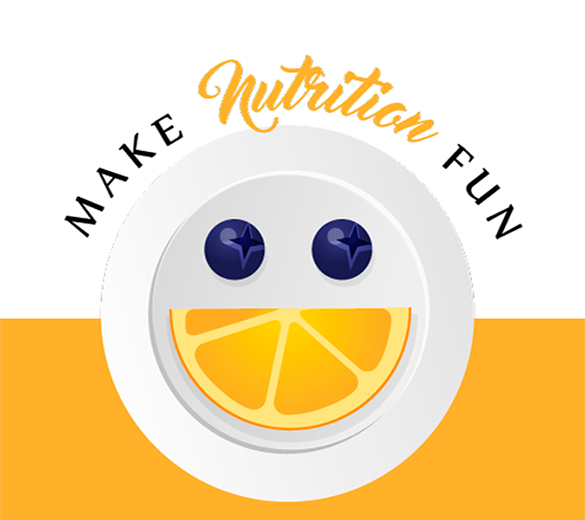 When I teach nutrition lessons to kids and remind them to seek out their Five a Day (two fruit servings and three vegetable servings), I ask them to look for real fruits and veggies. I tell them to beware of wanna-bes (foods that are marketed as being “made from real fruit” and “contains real vegetables” but have other non fruit/veggie sources as their main ingredients). Colors in food (if they are natural, of course) often correlate to certain micronutrients. Talk with your child about the benefits of each color group, using this chart that you can access here. You might be thinking, how can I possible get all of those colors on my child’s plate? You might be surprised how easy it is to find fruits and veggies in all colors of the rainbow. 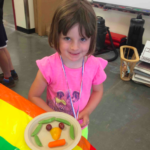 Use the following as a guide, but allow your child to be your shopper’s assistant in the grocery store (“can you help me find a purple vegetable?”), see what kind of colorful plates you can create. 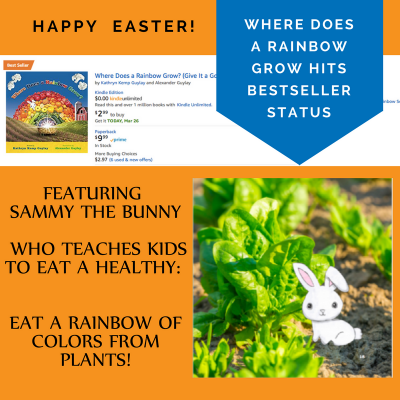 The book, Where Does a Rainbow Grow? reinforces that a REAL rainbow comes from fruits and veggies. Are you excited for your free copy!? Here it is. I hope you and the kiddos in your life enjoy reading it together!